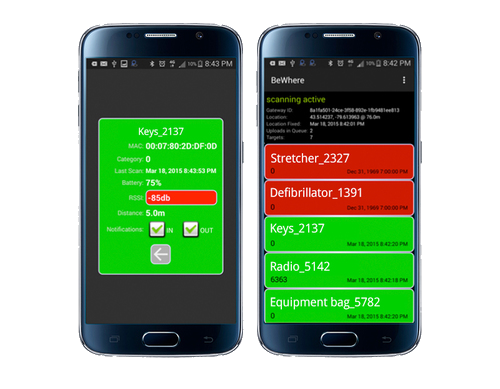 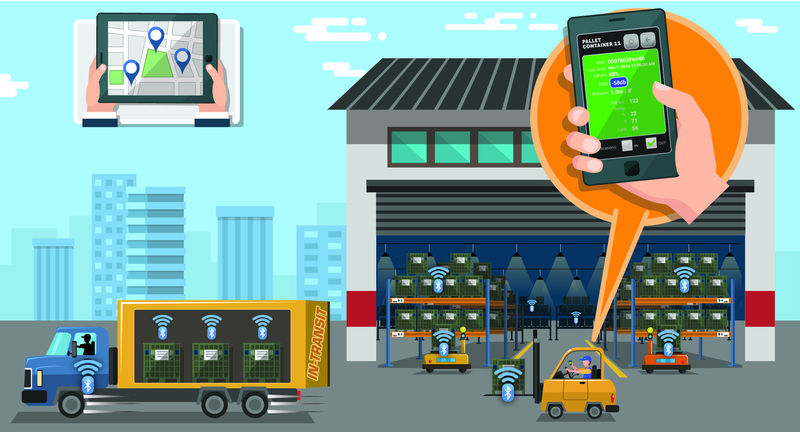 The BeWhere Application communicates to BeWhere Beacons through Low Energy Bluetooth® connection on Bluetooth® enabled devices such as smartphones, tablets and BLE/Wi-Fi Gateways. 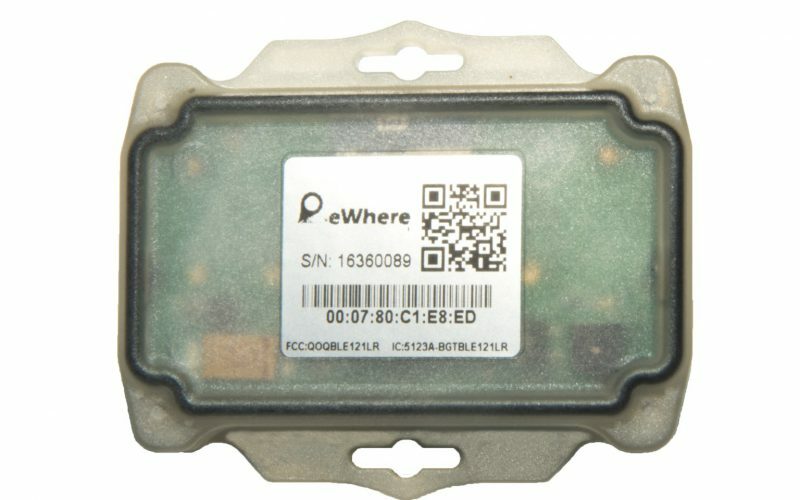 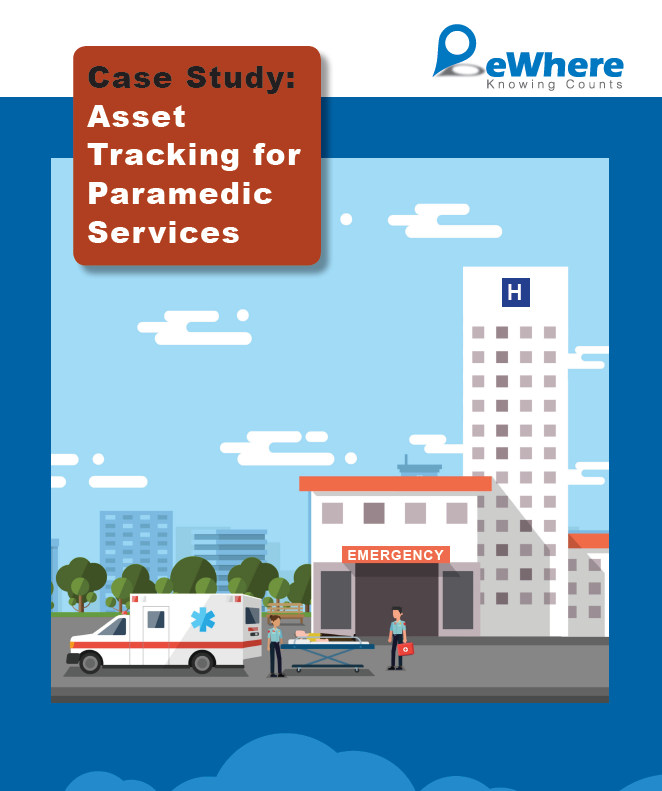 The devices transmit their own GPS localisation information as well as the Beacon data to an online database using Wi-Fi or cellular mobile data connection. 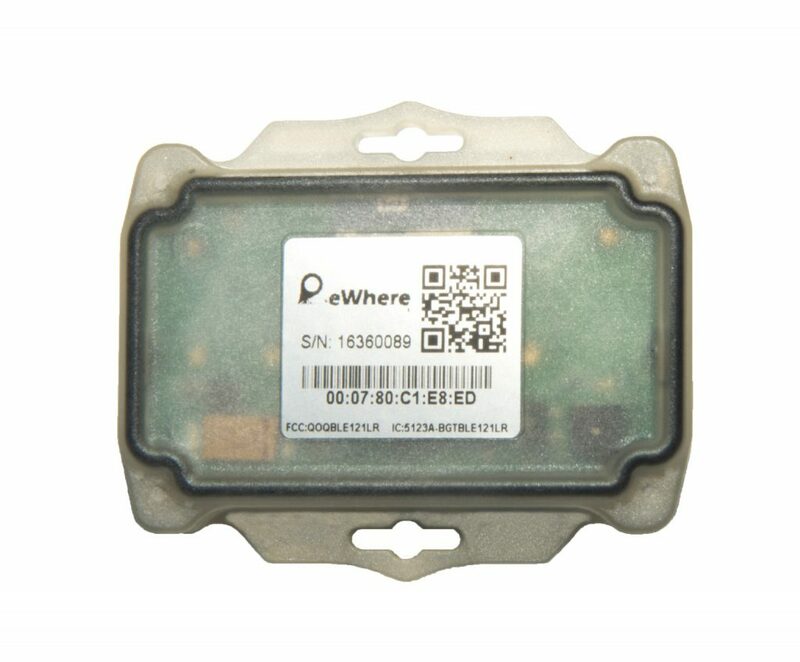 The BeWhere website provides a map based application showing the location of smartphones and tablets along with the location of Beacons and the Beacon data including number of impacts, temperature, light exposure, proximity, battery level, speed, latitude and longitude. 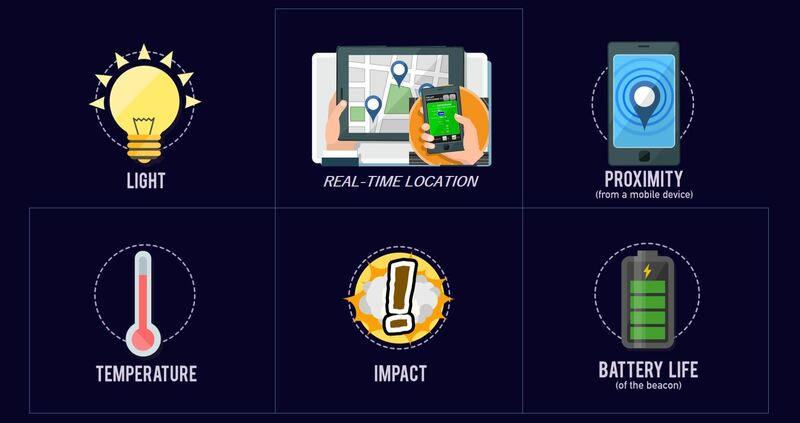 Our Beacons come equipped with the below features. 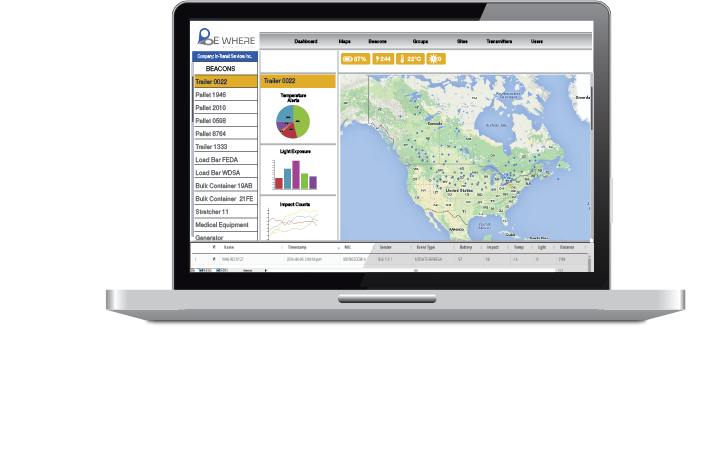 At BeWhere, we are always trying to improve our hardware and software so keep an eye on what's new!